A 'Proper Motor Car' parked on the corner Grant Avenue and California Street in San Francisco. The heart of Chinatown. 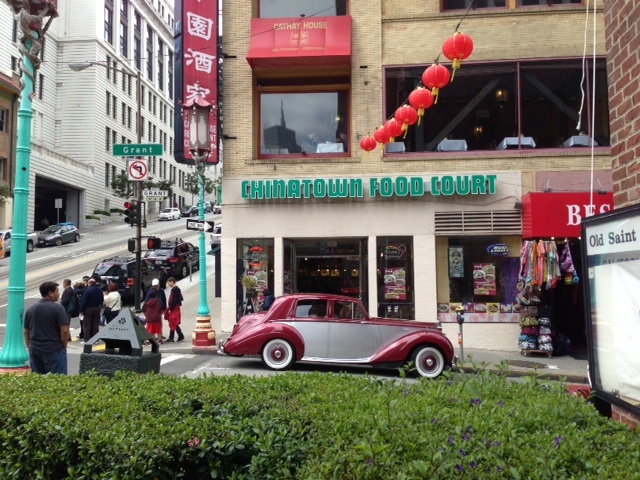 The building behind is an icon that was built after the 1906 earthquake which was a McDonald's for many years and now a generic Chinatown food court. San Francisco, California USA!' '...ding dong your in Hong Kong...' pop tune. Nancy Kwan was the lead actress. what Westerners would perceive in a way."